Wow, after all this time, I've finally reached the end of my 2017 pre-Cars 3 Mattel Cars 1:55 scale diecast reviews! Clutch Foster here (#2/8 of this year's "WGP Fans" sub-series) was the last one I needed to finish up my collection. 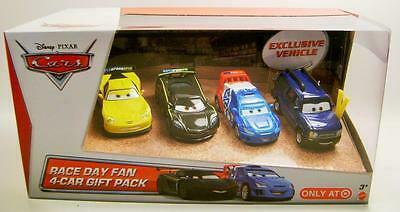 Now I can move onto all the fun Cars 3 goodies I've accumulated over the past few months! As far as where Clutch Foster appears in Cars 2, it's completely unknown. I couldn't find him anywhere in the WGP stands (and I'm good at finding obscure background characters for screen shots; this is one of maybe two I've never found). In fact, some even speculate that he was never in the film at all and that his design was either cut or made up by Mattel. Even the World of Cars wiki page for this character says he wasn't in the film, but if somehow you've spotted him, definitely let me know. FUN FACT: His name is inspired by real life Pixar title/graphic designer, Craig Foster. In fact, Craig has another car named after him too: Craig Faster (seen HERE). Double the love! This is actually a re-release of this character, but it's his first time being available as a carded single. 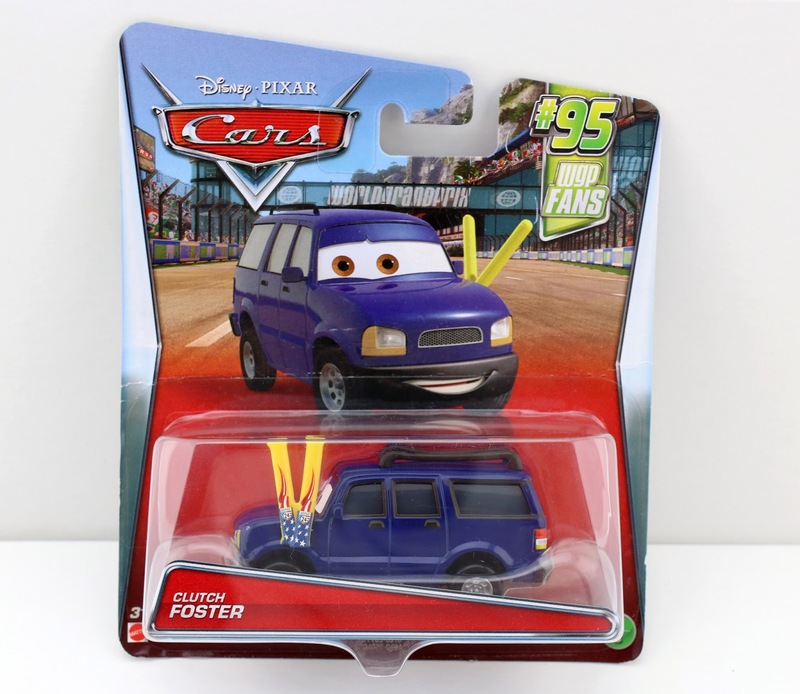 He was originally only available as an "exclusive vehicle" in a 2013 Target exclusive Race Day Fan 4-pack. It just goes to show you that if you wait long enough, many of the exclusive pack-ins eventually become more widely available! 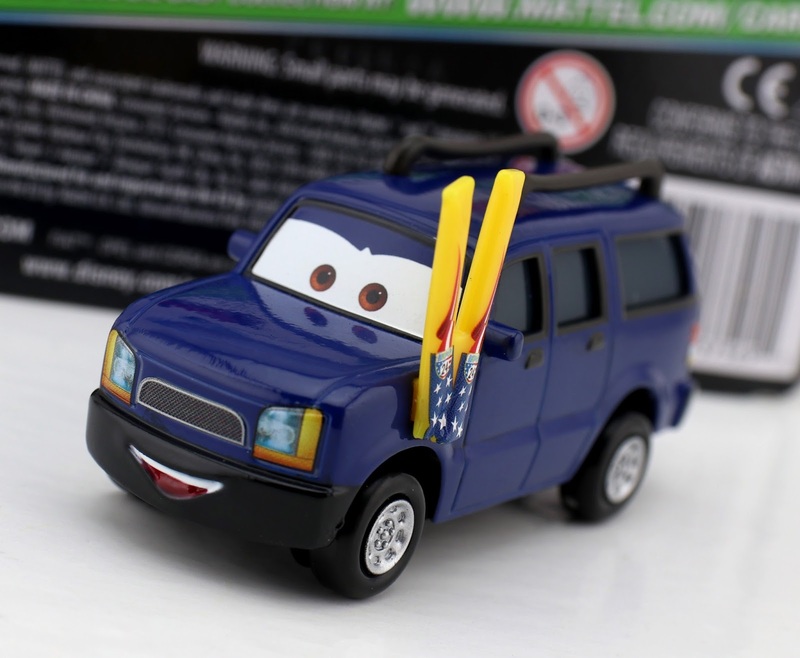 This car was released earlier this year in the 2017 Case B (one of the last cases before the transition into the Cars 3 line). I actually never found that case in stores (classic last wave syndrome), but was able to pick this one up on Amazon recently for a great price (right around $6). If you still need to track Clutch down for your collection, be sure to check out eBay HERE or Amazon using the direct link below.